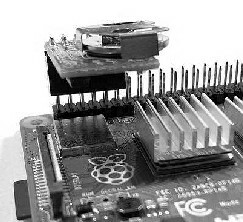 The Real Time Clock (RTC) Module for the Raspberry Pi has been carefully designed to ensure that it fits within the footprint of the Raspberry Pi, and so should fit into almost any case. These fitting instructions apply to all versions of the RTC Module, including those with a temperature sensor fitted. For the temperature sensor only board (ie. no RTC), please skip the section about fitting a battery. 1. Firstly, fit the CR1620 battery supplied with the RTC Module. To do this, carefully remove the battery from its packaging and slide into the battery holder on the underside of the RTC Module. Make sure that the + sign on the battery faces the + sign on the battery holder (see picture). 2. 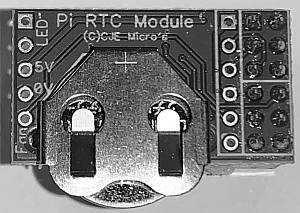 Plug the RTC Module into the first six GPIO pins closest to the SD Card end of the Raspberry Pi, so that the RTC Module is above the small DSI connector (see picture). 3. When you first start your Raspberry Pi after fitting the RTC Module, you will need to set the system date and time in the usual way, but afterwards the RTC Module will retain the date & time when the Raspberry Pi is switched off. Support for the RTC in RISC OS is already built-in, and just needs configuring to 'Set manually' from the "Time and Date" settings in Configure. Alternatively, if no network time is found, it will default to the RTC time. If you are using an earlier version of Raspbian prior to September 2015 then you will need to follow the instructions here instead. Select "(9) Advanced Options" and then "A7 I2C - Enable/Disable automatic loading". A prompt will appear asking "Would you like the ARM I2C interface to be enabled? ", select "Yes". After this it will ask you about adding this to the kernal also select "Yes". Exit the utility and reboot your Raspberry Pi. The RTC should appear on channel 68 as shown in the screen shot below. 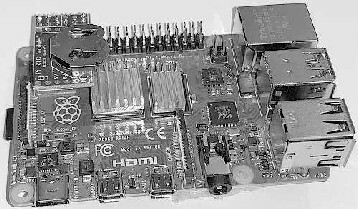 If the RTC doe not appear, check that the board is correctly fitted. date -s "2 OCT 2015 18:00:00"
Many thanks to ABElectronics for their notes and instructions which these instructions are based upon. For RISC OS, temperature monitoring software can be downloaded here. Instructions for Linux are coming soon, we hope! 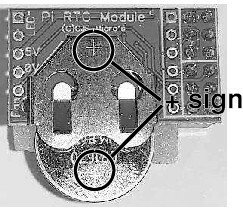 The RTC Module has support for additional headers, should you wish to fit them, to allow connection of a Power-on LED (either 3.3V or 5V) on J1 and pass-through of the IIC bus on J2. Also available are the SQW/Out output from the RTC and Alert output from the Temperature Sensor (if fitted). Details of how to use these outputs can be found on the relevant datasheet for each chip. For ROHS, WEEE and CE Certification information, click here.